iTrackerTM, the intelligent PV tracker, can deliver annual energy gain up to 30% vs traditional fixed structures. Thanks to its continuous tables, it optimizes the use of available land and maximizes the yield of investors. 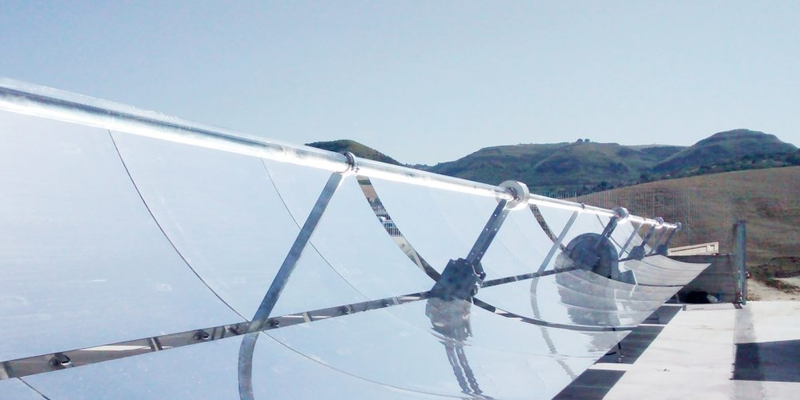 With iTrackerTM Soltigua bring to the PV market their many years of sun tracking experience in the highly demanding concentrating solar thermal industry. A new version of Soltigua’s iTracker optimized for desert environment. Key moving parts of Soltigua’s iTracker were tested to withstand sand abrasion for an equivalent 55+ years in harsh desert conditions. Want to see the outcome? 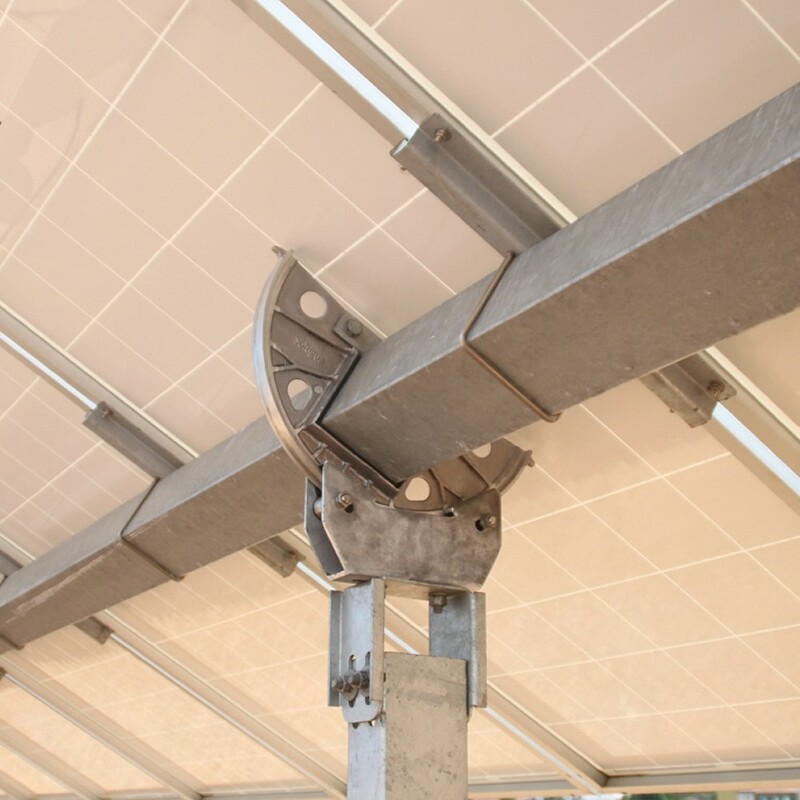 iTrackerTM, the intelligent PV tracker, is the newest and smartest single axis tracker on the market and can deliver annual energy gain up to 30% vs traditional fixed structures. iTracker is available in several models of different size, that can be combined in order to realize customized solar fields, with solar string of parallel or also different orientation. Stow position: up to 200+ km/h in stow position, depending on tracker version. iTracker’s highly flexible mechanical head allows for high installation tolerances, which streamline installation works. Slopes up to 10% are accepted by iTracker’s standard version, For hilly terrains and higher slopes Soltigua can offer special solutions based on highly flexible joints (see photo above). 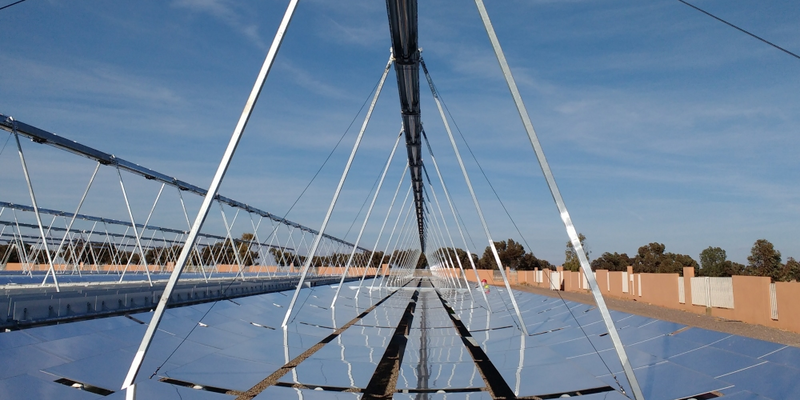 PTMx, Soltigua’s parabolic trough, is developed and produced in Italy. Due to several innovations, PTMx includes all the advantages of solar concentration that, up to today, have been available exclusively to solar thermal power stations. Today, this innovative technology becomes available for a wide range of applications. Soltigua’s Fresnel collector FLT is a linear concentrating system for generating heat in the range of 100 kW to several MW at temperatures up to 320°C. FLT’s light structure, compact dimensions and innovative design make it an ideal rooftop solution for industrial process heat, solar cooling and polygeneration applications.